When the lamp Kolorit made its way into the product range at Frandsen Lighting in the early 90's, it was happy days. Now, this functional lamp is being relaunched in new color schemes, befitting of modern living. 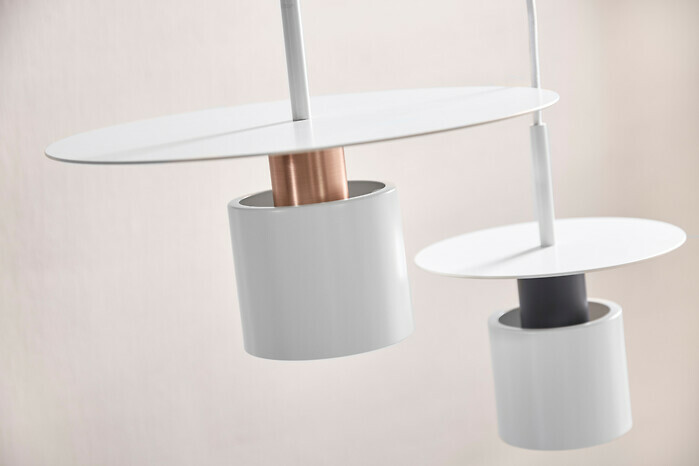 Bright red, sunflower yellow and cobolt blue have been switched out in favor of copper and a matte grey, giving the lamp a more elegant and exclusive expression. Kolorit is designed by Jørgen Klinkby, who was previously employed at Arne Jacobsens design office. Here, he was leading architect on the famous National Bank in Copenhagen. - Kolorit is shaped with the same firm grip on the elements, with the vertical cylinder and the horizontal disc highlighting each other. The shapes have a function: The cylinder is leading the light down, and shade, to avoid glare. It also leads the light upward, to the disc, which then dissipates the light softly to the surroundings. 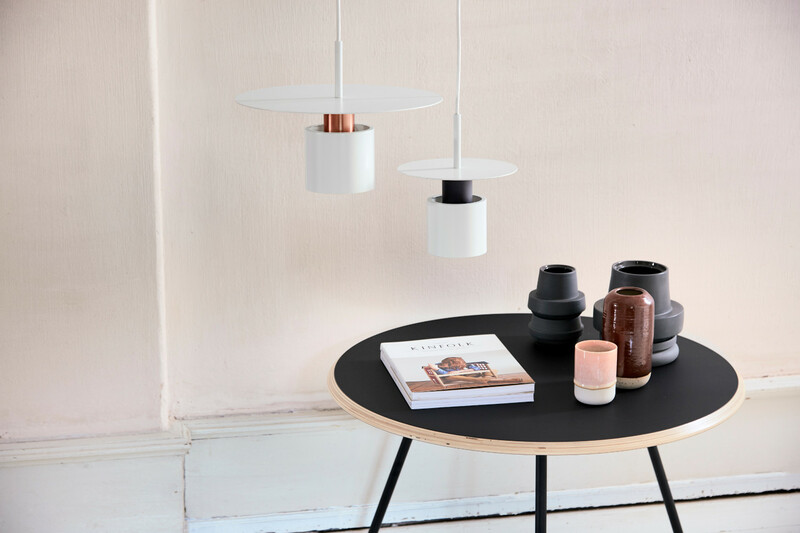 That makes it an ideal lamp for the dining table, but also for illuminating the home in general, Jørgen Klinkby explains.